Nevertheless, Sisowath Quay has a cool, relaxing atmosphere allowing both Cambodians and tourists to enjoy a delightful getaway there. This esplanade enjoys a strategic location, being at the meeting point of almost all roads that lead to the city’s key highlights. The area buzzes with locals, joggers and ramblers in the early morning and Sisowath Quay also becomes lively after the sun goes down during when it takes on an almost carnival atmosphere. The promenade is almost deserted during the daytime, especially in the afternoon. On the western side of the Sisowath Quay is the Royal Palace that is still the residence of Cambodia’s king. Built in 1866, the Royal Palace holds such attractions as the Throne Hall, with its Khmer architecture and the Silver Pagoda, also referred to as the Temple of Emerald Buddha. 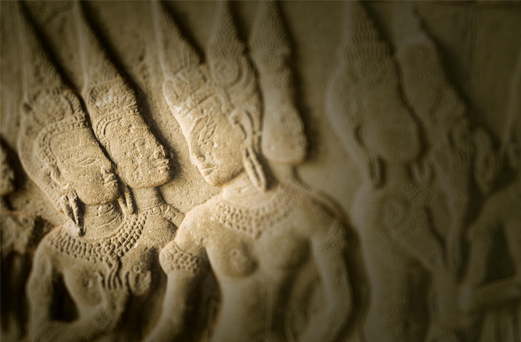 Another major landmark that is easily accessible from Sisowath Quay is the National Museum – a great place to explore one of the world’s largest collections of Khmer cultural and historical artifacts. Likewise, a short walk from the promenade takes you to the acclaimed Wat Ounalom. For art lovers, Sisowath Quay presents an array of options by way of Colours of Cambodia – a must-visit locale if you are passionate about handicraft items and Happy Painting Gallery with its interesting ensemble of pictures based on the lives of people in Cambodia. Further, this is a shoppers’ haven and topping the list of shoppers’ favourites is perhaps silk, and one of the best places to buy this material as well as linen is Kravan House. There are ample restaurants, cafes and bars to serve almost anything you wish to take a bite of or sip, whether it’s authentic Khmer, Mexican, French Indian or Italian dishes. A highly favoured place for both foreigners and locals is the Foreign Correspondents Club or the FCC. It offers Khmer and western cuisines, in addition to a variety of signature cocktails in its horseshoe-shaped bar. From releasing live birds from cages to getting your fortune told by one of the many fortune tellers that line the esplanade, to making the most of the music and vibrancy at one of the many nightclubs or sport-themed bars, you can enjoy all of this at Sisowath Quay. Stretching from the Street 104 area to Street 178, Sisowath Quay is about 10 kilometres from Phnom Penh International Airport. Tuk tuks and taxis are widely available. Located close to Street 104 is Phnom Penh Port, from where ferries depart to Siem Reap on a daily basis. Further, bus companies such as Mekong Express operate here to major destinations across the country. Safety is not a significant concern during the daytime, although you’ll want to keep an eye out for pickpockets and bag snatchers — wear a backpack or hold your bag on the side facing away from the street. Sadly, Riverside is poorly policed, if it’s policed at all. Not only does the occasional shooting occur (see main page), but gangs of rather unsavory boys sometimes hang out along the waterfront – making lewd comments to women, physically harassing tourists, and so on. But they will generally avoid you if you avoid them.